For any child to achieve their best, we need to ensure school and home are working closely together. 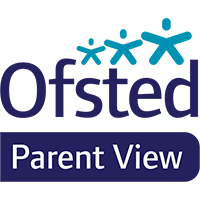 Parent Partnership is vital and we aim to inform, consult and involve parents as much as possible in all aspects of school. We have an open door policy so you can meet your child's teacher at the beginning or the end of the day to pass on information and Senior Leaders area always available to meet with you. We hope to work closely with you through the year and offer many informal opportunities to come in to school as well as the more formal Parents' Meetings. We have class assemblies, half termly drop-ins to share your child's work, grounds days and opportunities to be involved in school trips. We also put on workshops for parents around how to support your child with their learning. This could be a Phonics workshop in Foundation Stage or Year 1 or maths across the school. The workshops involve working alongside your child and are a valuable insight into how we teach your child.